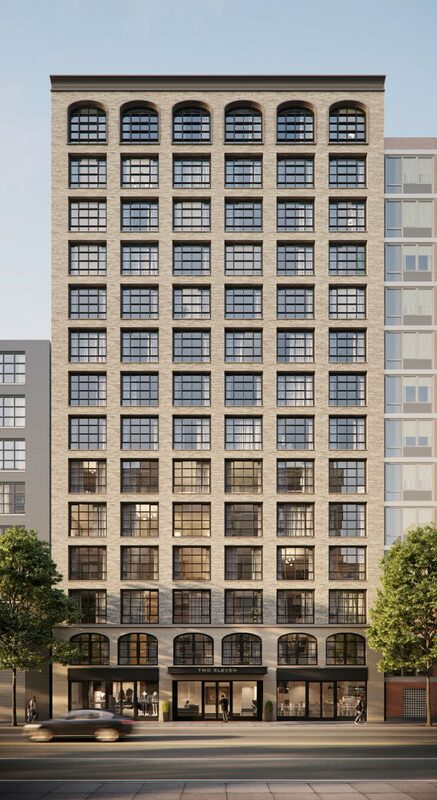 Just up the street from the Ace Hotel at 266 Schermerhorn, in the Brooklyn neighborhood of Boerum Hill, the Morris Adjmi-designed 211 Schermerhorn Street is now halfway up to its future height of 14 floors. 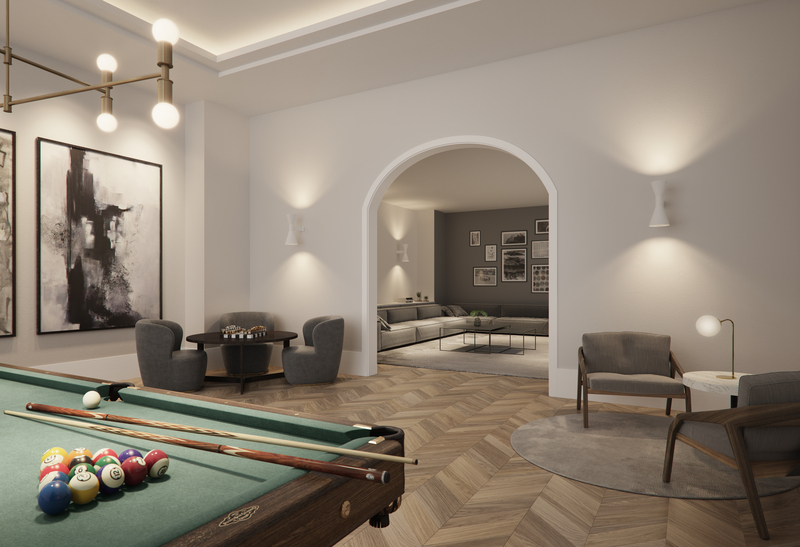 The project is being developed by Oestreicher Properties and GPB Capital Holdings, LLC, who purchased the site for $30 million last year, and it will contain 48 units ranging from one- to three-bedrooms. The facade is made of Danish bricks and industrial-style windows, adhering to a organized and clean grid pattern of large partitions and columns. 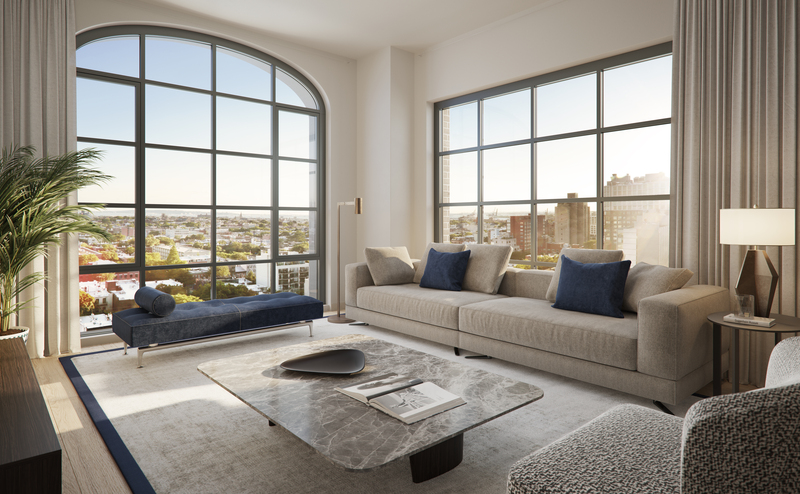 Adjmi wanted to evoke the traditional architecture of New York with a contemporary blend of detailed touches, such as the craftsmanship of the Lagos Azul limestone lobby, and the arched windows on the second and fourteenth floor. 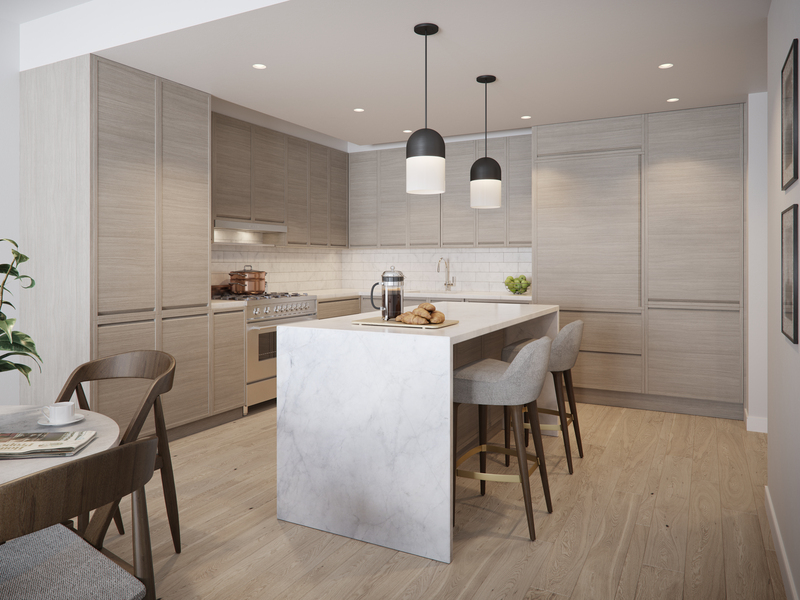 Inside the units, there are oak plank floors coated in a matte oil finish, solid white oak kitchen cabinetry, Honed Carrera marble for the kitchen countertops and backsplash, and Bianco Carrera marble laid in a herringbone pattern for the bathroom floors. 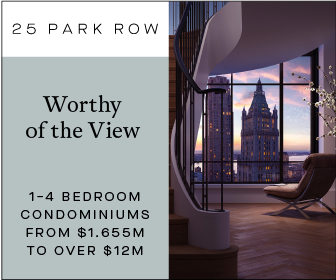 There are three penthouses on the top floor, offering ten-foot high ceilings and arched windows, and their own private rooftop spaces, ranging from 436 to 680 square feet. Views from all the units face south towards the afternoon sunlight, with the most daylight exposure seen during the cold winter months. 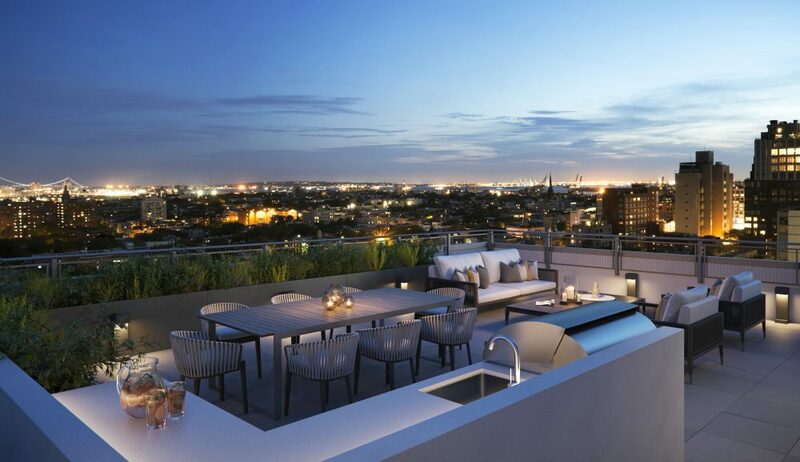 Some of the amenities include a resident’s lounge, a fitness center, a 24-hour lobby and a private kitchen as part of the 1,138 square foot rooftop deck. 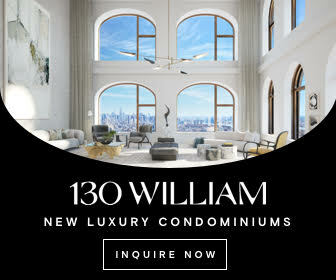 There will also be 14,000 square feet of retail space on the ground floor, surrounding the main entrance on both sides. The Hoyt-Schermerhorn subway station is located in the next building to the east, at 225 Schermerhorn Street. 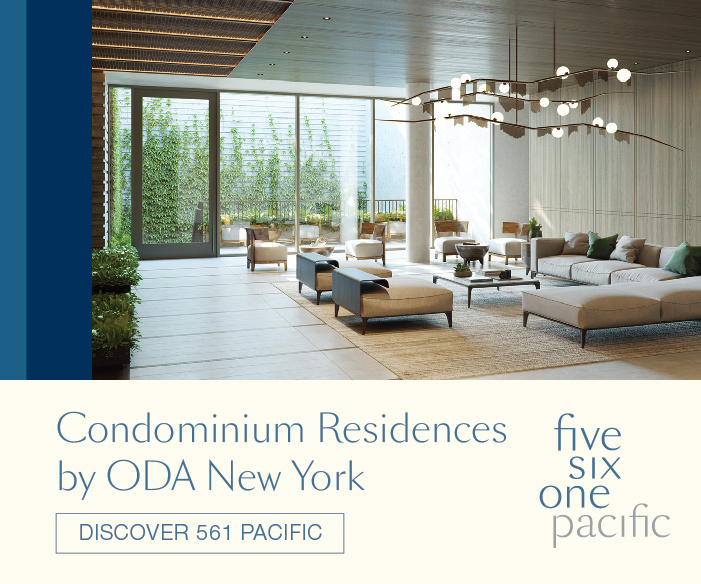 Of the 48 units, there are only seven units available in the building. Completion is set for 2019. 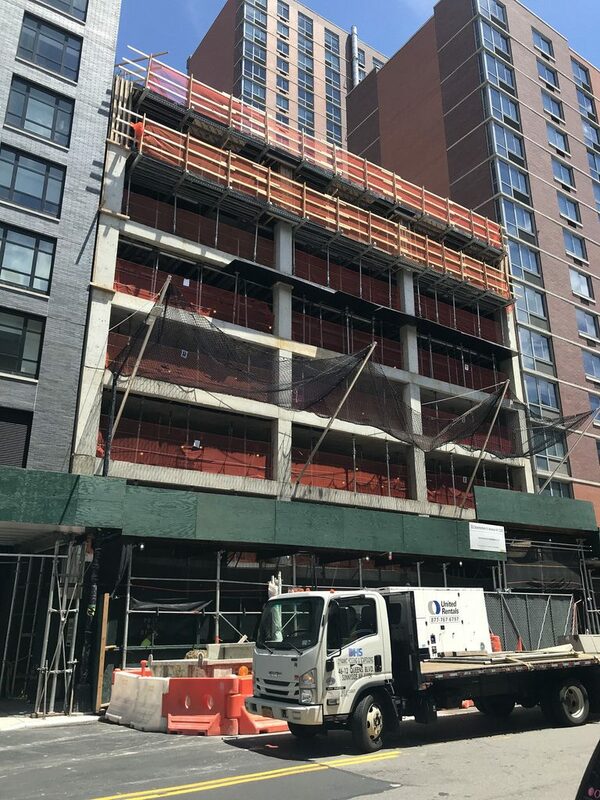 3 Comments on "211 Schermerhorn Street Making Progress in Brooklyn’s Boerum Hill"
Please pardon me for using your space: Thanks to Michael Young who reported on progress. 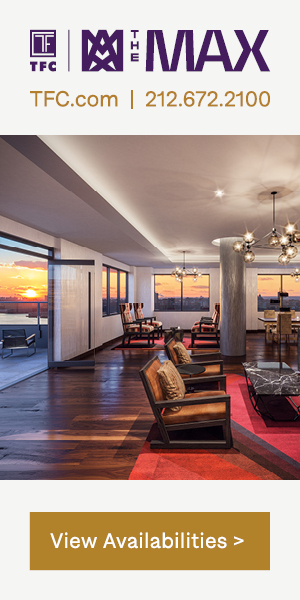 This is a welcomed design in a new sea of neomodern high-rises. 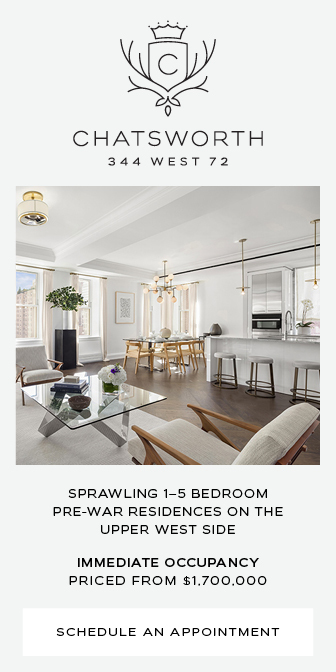 The much older version in Manhattan would be one or two floors shorter which may be noticed by some.